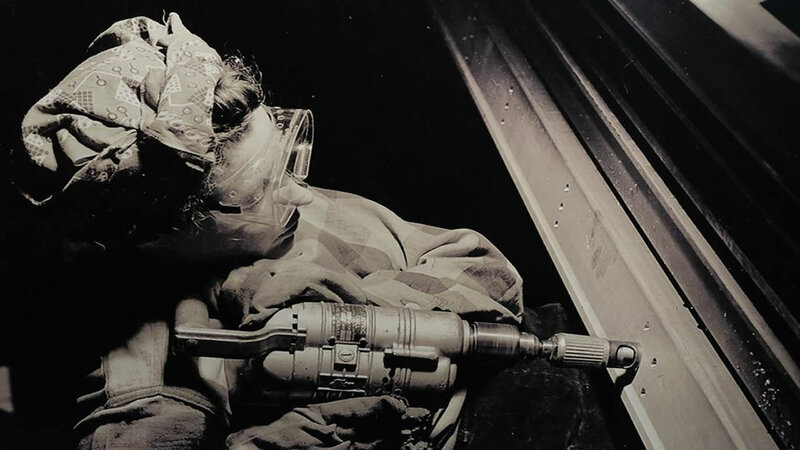 LONGVIEW, Washington -- A woman identified by a scholar as the inspiration for Rosie the Riveter, the iconic female World War II factory worker, has died in Washington state. The New York Times reports that Naomi Parker Fraley died Saturday in Longview. She was 96. Multiple women have been identified over the years as possible models for Rosie, but a Seton Hall University professor in 2016 focused on Fraley as the true inspiration. James J. Kimble published his findings in the journal Rhetoric & Public Affairs, saying a photo of Fraley at work was the basis for a widely seen poster of a woman flexing with the caption, "We can do it!" Fraley was born in Tulsa, Oklahoma. After the Japanese attack on Pearl Harbor, she went to work at the Naval Air Station in Alameda, among the first women to do war work there.